Actually, I take that back. Let’s go with before you can say ‘vet.’ We’re only human. A degree will be necessary, but let’s go over some of the less talked about necessities first. You’ll need a heart of gold, along with a few other quirky traits that could help you along the way. The fact that your patients can’t point to their paw and say “fix it, Doc!” means you’ll have to acquire some out of the ordinary communication skills in order to diagnose pets. Have a superhuman nose? Certain cat ailments are caught by the scent of their breath, so start sniffing. Are you extra observant? Your patients won’t be able to meow in morse code or bark in binary, so excellent attention to detail would be absolutely necessary. Your patients can’t exactly spell out their issues for you yet. Unfortunately, science hasn’t gone that far yet. “It’s a little bit different than med school because you don’t have to do an internship or residency, those are typically available. You also can go straight into practice, which is what I did,” Dr. Mike McClenahan, A veterinarian at Studio City Animal Hospital, commonly known as the “Bow Tie Vet Guy,” said. Time to enter the belly of the beast. It takes a doctorate in veterinary medicine, a license, some lab and on–the–job experience, a choice of specialty to become a vet. Before you sigh and close this tab, remember that those are just four things. Only four. You got this. 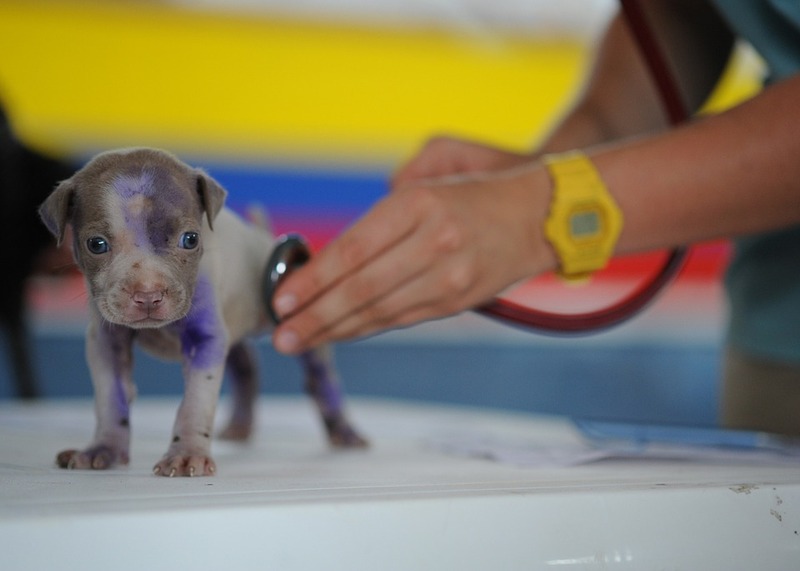 What you should know about becoming a Veterinarian? 1. What income will I earn as a Vet? 2. How much will I be expected to work as a Vet? Vets can be subjected to an erratic work schedule, thanks to on-call hours where they can be brought into the office in the dead of night or on a precious Saturday afternoon for an emergency. According to the U.S. Bureau of Labor Statistics, about one in three vets worked over 50 hours a week in 2012. 3. What will my work environment be like? Not all vets work in the traditional office environments from nine to five. If you chose to specialize in marine life or need to treat larger animals such as horses or cows, travel and extended hours lie ahead. Vets typically work in private clinics and hospitals, which is where many of the lab tests and diagnoses take place. Vets can also travel between these offices and clinics to ranches and farms if they specialize in larger animals. This kind of physically demanding work involves outdoor activity in all kinds of weather, including surgeries or other operations. Surprisingly, slaughterhouses and food-processing plants may also be a vet’s working environment if they deal with food safety and inspection. A stranger example that comes to mind is the National Geographic star: The Incredible Doctor Pol. A famous veterinarian based out of rural Michigan, Pol often has to travel across his state to care for some of his patients. Pol’s seen everything from a six–legged calf to an escaped pregnant mare, and continues to pursue cooler cases. Like Dr. Pol, a vets’ work environment can always vary depending on their interests and specializations. 4. What do I need to know about the future of the veterinary profession? All vets must have hearts made of marshmallow fluff and cotton candy. No exceptions. Vets must be able to connect and communicate with worrisome owners in a genuine and caring way, and treat all their fuzzier patients with a gentle touch. Empathy will help you give your patients and their owners the respect and reassurance they need. Scanning x-rays and testing stool samples might take over a whole work day. From sun up to sun down, practice your lab and technical skills. The petting of the puppies will come later, don’t worry. One day, we’ll get animals to blink at us in Morse code what they need help with, but until then we’ll have to wing it. A vet’s acute observation skills make the difference between an incorrect or right diagnosis. If you whip out your magnifying glass and practice noticing the subtleties of life, you’re on your way to a great vet career. “The reality of the job is that you can’t always save all your patients. Sometimes your best just won’t be enough, and so people can’t always walk into the field thinking it will be all sunshine and rainbows. You have to get accustomed to breaking the news and handling the deceased patients sometimes, too. But there are always good times to help even out the bad. I think that it’s worth it in the end, to me.,” Julie Gomez, Vet Tech in El Paso, TX said. “I can tell you that one of the hardest parts in my journey was just… getting into vet school. There are so many med schools compared to vet schools, so competition is fierce when you’re trying to get in. If I can give someone a piece of advice, it would be to find a vet that you can shadow for a day, to see what it’s truly like. We do a lot of paperwork. We do a lot of lifting, and dirty work too. Get your experience in early, and know what you want,” Dr. Mike McClenahan, A veterinarian at Studio City Animal Hospital, and commonly known as the “Bow Tie Vet Guy” said. “It can definitely be a rollercoaster of emotions at times. One of my favorite parts of the job is making new relationships with pet parents and leading them and their pet into adulthood, and really forming relationships with those people. I have clients that I’ve known for four or five years now, and they’re more like friends at this point. 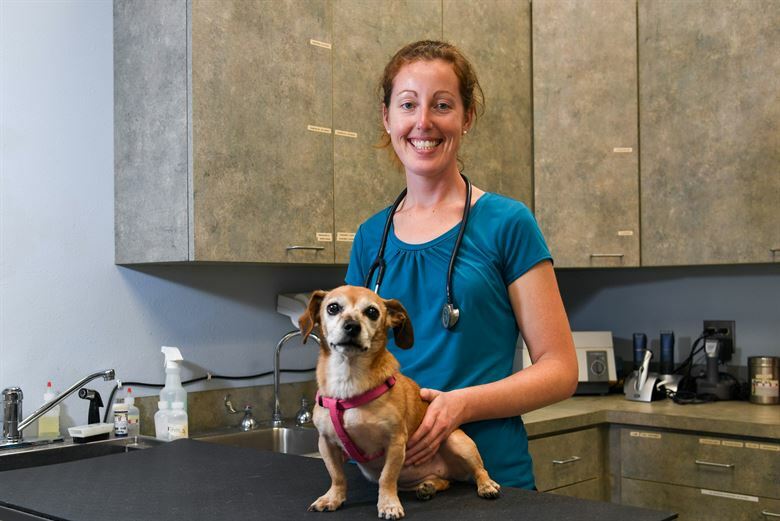 Another really rewarding aspect is having a complicated case that really is a mystery and then finally solving it,” Betsy Feighner, Associate Veterinarian at Urban Vet Care said. I'm a sophomore in journalism at the University of Florida. In my free time, you can find me on a lake with my rowing team, collecting new exotic houseplants, or sleeping in a hammock on campus.